Mayor James Fouts - The Good news is that Fiat-Chrysler is going to invest at least $500,000 into their Warren Truck Assembly plant. Chrysler – A shift from Mexico to Warren. Warren Mayor James Fouts is happy to share some good news today! 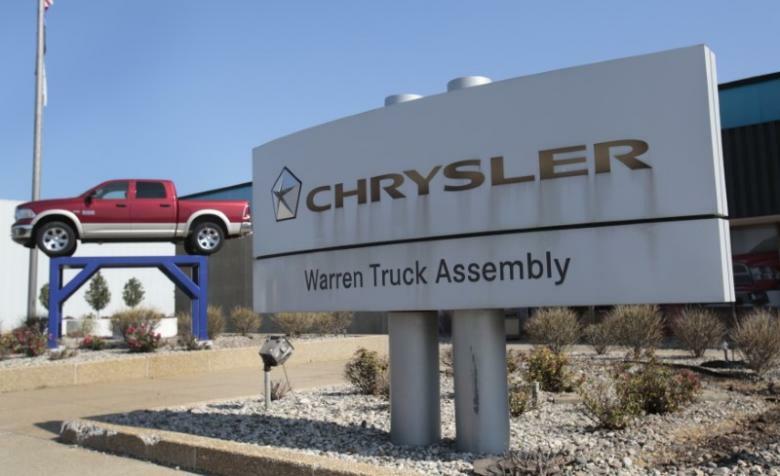 The Good news is that Fiat-Chrysler is going to invest at least $500,000 into their Warren Truck Assembly plant. More importantly however, according to the company, is that Warren Truck also will have the flexibility to produce the Ram heavy-duty truck, which is currently produced in Mexico. It would seem that Fiat-Chrysler Corporation are hopefully shifting from Mexico to Warren! That’s great news! This turn of events seems to follow the position of the new administration that jobs will be coming from Mexico to the U.S. It’s kind of a domino effect -first Ford, GM, and now Chrysler! Buy American and buy cars made in America and in this case made in Warren! Mayor James Fouts is very ecstatic about this! Mayor Fouts had, earlier this year, contacted Chrysler Corporation about his concerns about Warren Truck. It would seem that thanks are in order for both Chrysler, the new administration coming to Washington in January! This entry was posted in Cost Savings Initiatives, James Fouts, Mayor, Safety Initiatives and tagged james fouts warren mayor, mayor fouts, mayor fouts chrysler, mayor fouts jobs warren. Bookmark the permalink.